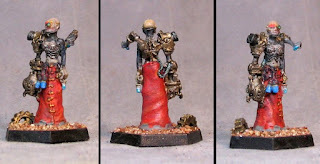 A trio of conversions for my not-Mechanicus Warband. 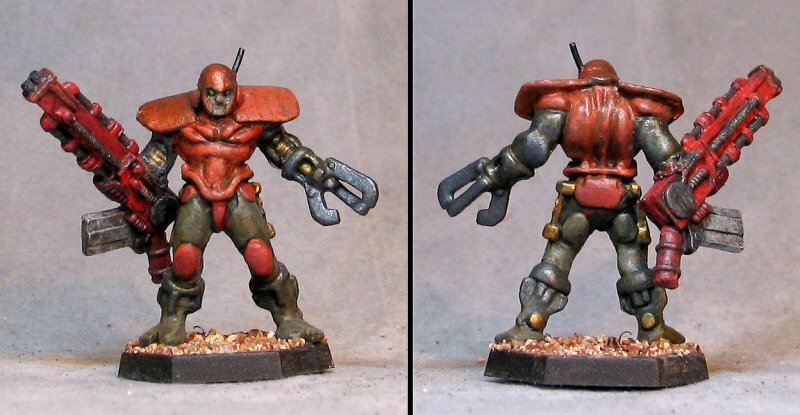 First up a simple conversion to a Battleball (sci-fi fantasy football miniatures boardgame) figure. The main part is the removal of his right arm and the addition of an old metal Mutant Chronicles/Warzone Nimrod Autocannon. It put him a little off balance, but that was counteracted with the addition of some ballast under the left side of the base. Next, another Battleball figure conversion. 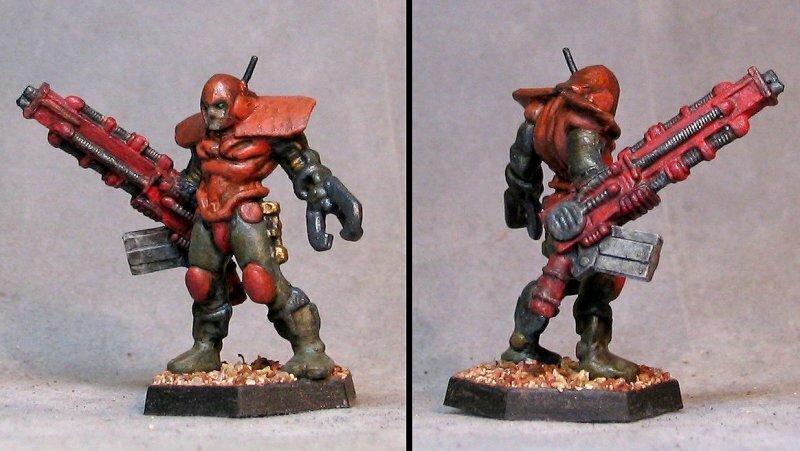 This one has a headswap and the addition of a GW plastic weapon arm. Finally a Tech Priestess. 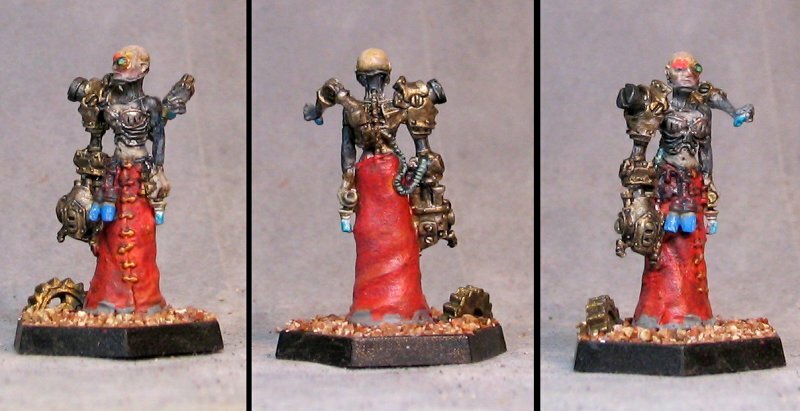 This is a very minor conversion of a Warmachine Cryx figure. I removed the half skeleton that her big mechanical arm was holding. Also added a tiny optical implant to her left eye and did some other minor modifications.